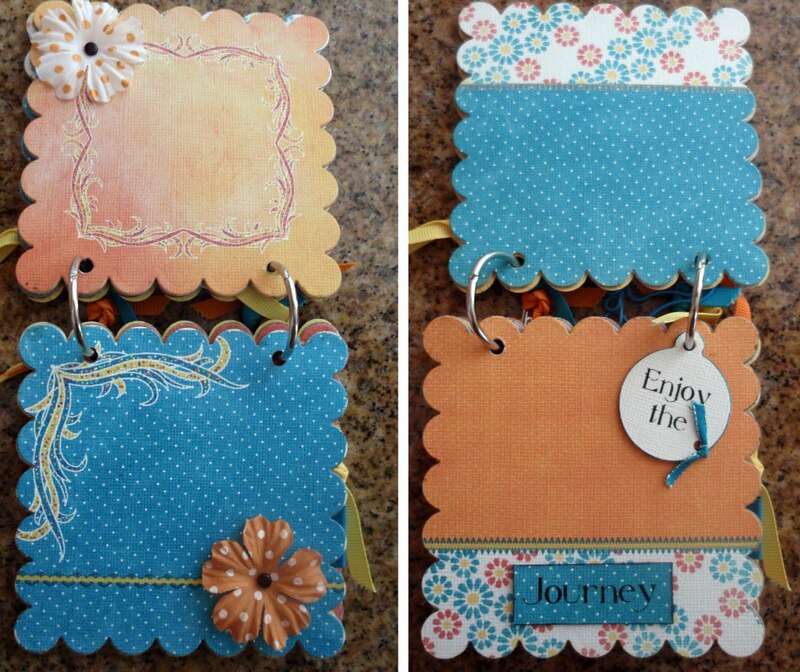 Today and tomorrow I am going to show you a couple of out of the box mini books I've made. A few years ago I was going on a scrapbooking cruise with some friends. Long story short - right at the last moment, sadly a member of our extended family passed away and I didn't go. 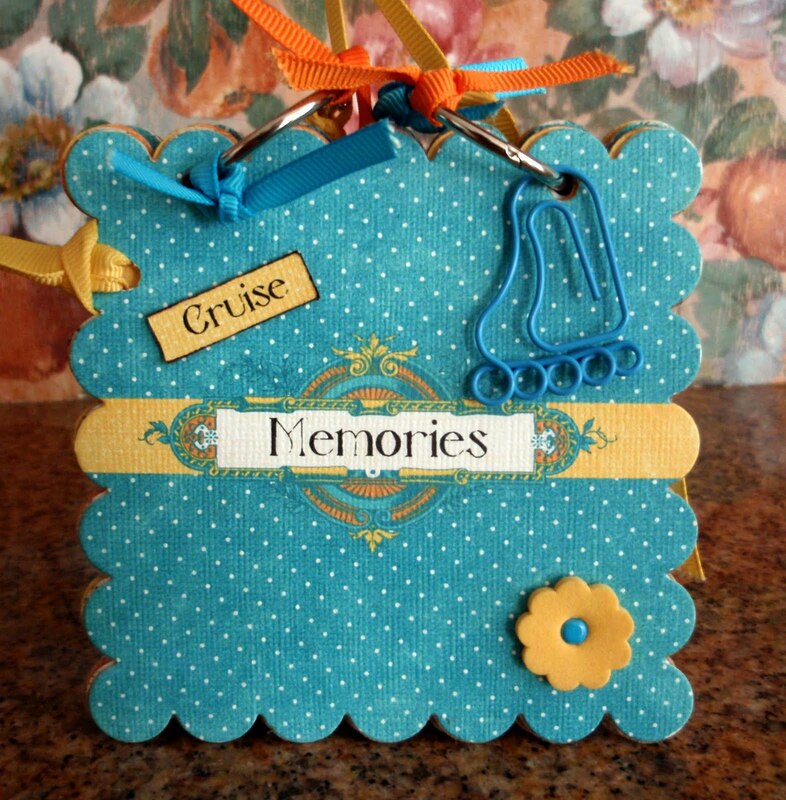 BUT I had made some little kits of a mini cruise memory book for everyone. Of course, mine is still empty - but I can show you a few pages anyway. 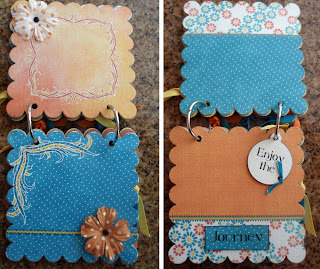 I used the largest Spellbinders Scalloped Die for all of the pages. I cut six pages and covered them front and back with some simple digital layouts I had designed. Because I was making so many kits, digital was the way to go. I included flowers, brads, ribbons and fun doo-dads in each kit and of course notebook rings for the binding. This was an easy book to put together using just die cut pages and a few decorations. Don't get confused with all of the products out there- simple can be fun! If any of my local peeps ever want to get together and do a themed book like this - let me know. I am always up for a scrapbooking party! And you not so local friends - get to die cutting. Your friends will love you for it. PS: Don't forget to leave a comment on yesterday's entry. I have a fun prize I am giving away. love the colors-love it all.